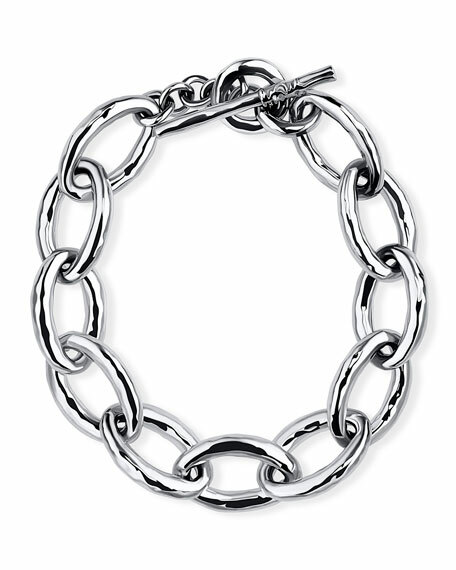 Ippolita "Bastille" bracelet from the 925 Classico Collection. Signature Ippolita hand-hammered sterling silver links. Ippolita bracelet from the Rock Candy® Collection. Sterling silver with hand-hammered finish. Mixed-shape stations in Harmony stone mix, including clear quartz and mother-of-pearl doublet, clear quartz, blue topaz, and clear quartz and bronze turquoise doublets. Approx. 2.6"L x 2"W. Slip-on style. Imported.